Emerging as champions after a month-long race to garner maximum subscribers, India’s very own T-Series has emerged as Worlds No.1 YouTube Channel after defeating Swedish YouTube star PewDiePie. The latter was seen acting as a spoilsport after losing as he uploaded a nasty video, pointing out the poverty and caste system in India, in his bid to take a final jibe at his rival, Bhushan Kumar’s T-Series. 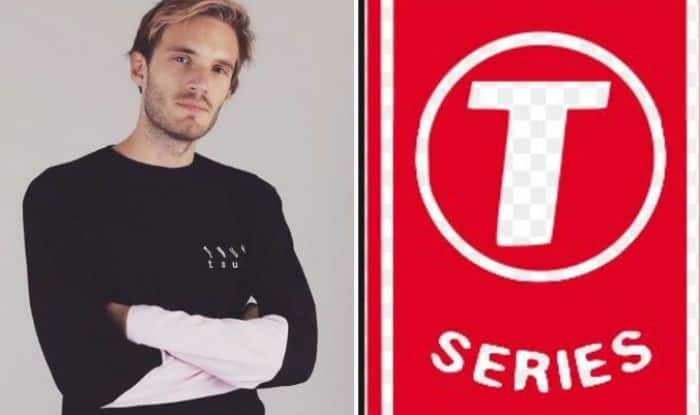 Though both T-Series and PewDiePie received support from many international celebrities and PewDiePie lost by a very close margin, the latter recently uploaded a congratulatory video where he accused T-series of selling pirated songs. This attitude is not new to the Swedish YouTuber who has often been slammed by various media outlets for racist jokes and recommendations. However, the video is not exclusive of the dig at the winner as he uses the word “Congratulations” too and also thanked his fans who stuck with him all throughout. Garnering over 92 million subscribers, T-Series win came after celebrities including Aditya Roy Kapoor, Parineeti Chopra, Salman Khan, Varun Dhawan, Arjun Kapoor and John Abraham posted videos over the past month, asking fans and netizens to subscribe to T-Series’ channel on YouTube to make it win World’s No.1 title.